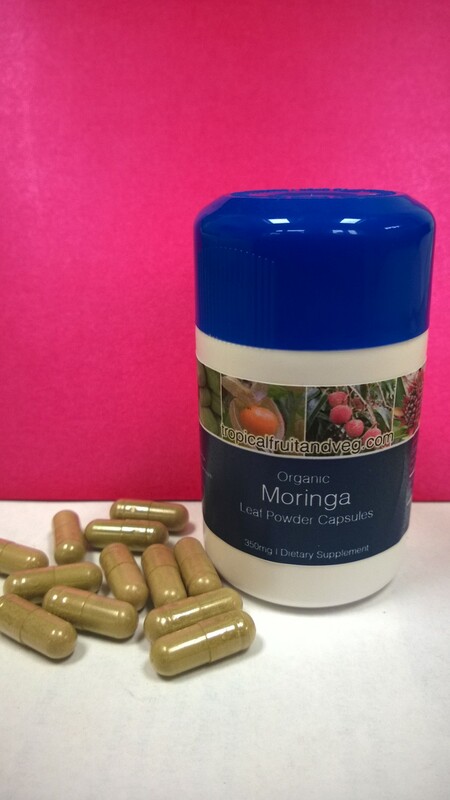 Moringa (drumsticks) is a tropical tree that grows in Africa and India. It is known as the miracle tree because of its health benefits. Moringa leaves contains over 90 nutrients including calcium, iron and potassium and many vitamins including high amounts of vitamin C, vitamin E, beta-carotene and vitamins B1, B2 and B3.